Adding supplemental heating to your home can keep it at a cozy, warm temperature. Ventless gas space heaters or gas fireplaces are great for colder weather or even in emergency power outages to supply heat. After installed for some time, just like anything else in your home, your heater, fireplace, or gas log set will start to collect dust. 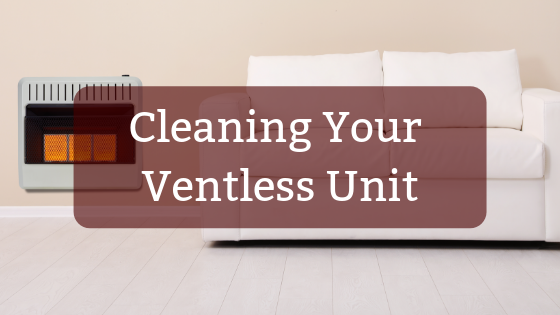 Cleaning your unit can help it run efficiently to supply your home with extra warmth for these colder winter days. The first step in cleaning your unit is to make sure it is shut off, this will include the pilot light as well. Once the unit is completely off, please allow for the unit to cool for at least 30 minutes before starting to clean. Do not start cleaning a unit that has not had the proper time to efficiently cool. After your unit has properly cooled, you will need to grab a can of compressed air to start cleaning your unit. 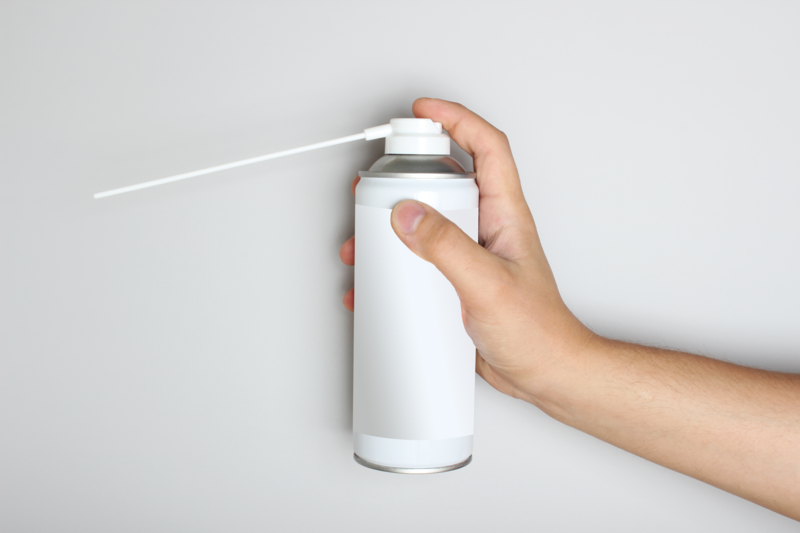 Most cans of compressed air should come with a long tube that you are able to connect to the can to direct the airflow. Once the tube is connected to the compressed air can you will need to locate the pilot on your unit. 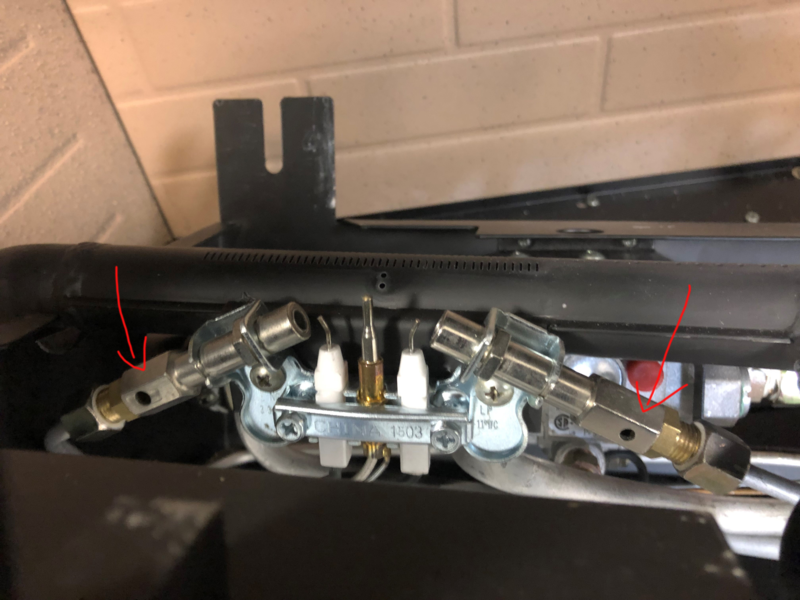 If you are cleaning a wall heater you may need to carefully remove the front cover to locate the pilot and for a gas log set you may need to remove a few logs to access the pilot light. Once the pilot light is located, you will need to locate a small pilot inlet air hole at the end of the tube. (If you are having difficulties locating your air inlet hole, please refer to the image below.) After located the inlet air hole insert the tube of the compressed air into the hole and then give 3 or 4 blasts of air. Be sure to always blow the compressed air in the same direction that the gas flows through the unit. By doing this you will help clear the obstruction or dust that has collected in your pilot light. Blowing the compressed air the opposite direction or into the tube can clog the tube and damage your unit. Once you have properly cleaned your unit with the compressed air, replace the logs or front covering of the heater you will need to follow the lighting instructions that can be found in your manual. Be sure to clean your unit yearly preferably before running it for the winter season. Properly cleaning your unit yearly can help your system run efficiently and last longer.